Variaciones Borges is a journal of philosophy, semiotics and literature, published twice a year in Spanish, English and French by The University of Pittsburgh. 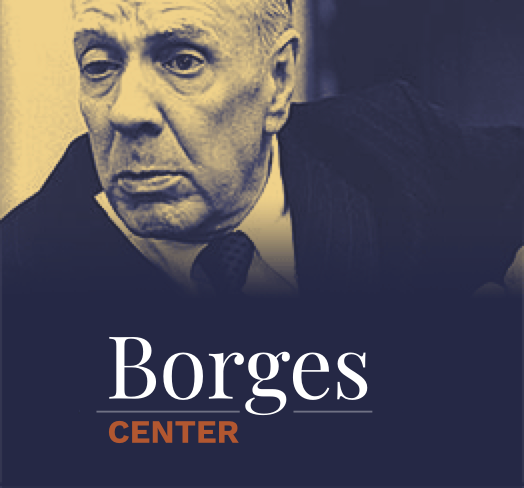 Reaching beyond pure exegeses of Borges's writings, the journal aims to explore the special style of thinking, writing and reading in which Borges excelled. Fantastic ontologies, synchronic genealogies, utopian grammars, fictional geographies, multiple universal histories, logical bestiaries, ornithological syllogisms, narrative ethics, imaginary mathematics, theological thrillers, nostalgic geometries and invented remembrances converge to justify the epithet "Borgesian" for a special area of academic research, in which philosophy appears as perplexity, thought as conjecture, and poetry as the deepest form of rationality. These creative displacements of relevance can be called "transverse epistemologies." Selected articles from past issues of the journal are available in the section Borges Criticism. Ângela Fernandes, Magdalena López, Sergio Delgado, Vicente Cervera Salinas, Alfredo Alonso Estenoz, Evelyn Fishburn, Gabriel Magalhães, Isabel Araújo Branco, Sonia Miceli, Fernando Pinto do Amaral, Daniel Attala, Marcelo N. Abadi, Diego Tatián, Yitzhak Lewis, Cecilia Beaudoin and Brian Steele. Patricio Ferrari, Diego Giménez and Roberto Rolandone, Fabrizio Boscaglia, Sandra Bettencourt, Pedro Javier Pérez López, Alberto Giordano, Bairon Oswaldo Vélez Escallón, Jason A. Bartles, Robin Lefere, Amy Frazier-Yoder, Antonio Munir Hachemi Guerrero, and Leah Leone. Ana Peluffo, Julio Premat, Edna Aizenberg, Laura Cesarco Eglin, Rosario Hubert, Jairo Antonio Hoyos. Carolyn Fornoff, Nora C. Benedict, Leah Leone, Álvaro A. Bernal, Júlio Pimentel Pinto, Mireya Camurati, Alberto Rojo, and Mike Gonzalez. Sebastián Hernaiz, Candelaria Barbeira, Martín Pérez Calarco, Sabrina Salomón, Daniel Balderston, Juan Pablo Canala, Antonio Cajero Vázquez, Alfredo Alonso Estenoz, Alexander San Francisco, Daniel Fitzgerald, María Laura Bocaz Leiva, Sandra Fernández Gómez, and Laura Rosato and Germán Álvarez.